SUPPORT OPTION: If you are a developer and want to use this extension on multiple websites (domains) you designed, you should purchase this extension with +For Multiple Domains to avoid support restriction by domain. We keep upgrading our extensions once a new version of VM comes out, developers will also be able to get future updates/upgrades for free. This option can't be added later. [NEW] Virtuemart Template "CleanMart" was recently updated and now it supports Virtuemart 3, Check it out! Fancy Product slider comes with 2 installation files. One for Virtuemart3.x, one for Virtuemart2.x. Install the appropriate slider module to your website. You end up with an error, you are stuck during the installation or you are making customization but you have no clue how to change things? We are always here to help you out. Check our forum and see how we are good and clear at helping. Comes with 4 different themes. Pick one that you like the most. 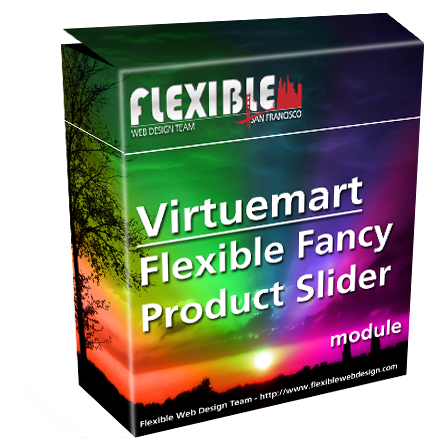 Flexible Fancy Product Slider comes with 4 different themes. You ca easily select a theme from the module parameters and go with that module. It is that easy! Easily customize it with user-friendly parameters. No need to be coder! You don't need to be coder to customize it. First, pick a theme that you are wiling to go with; then pick options from module parameter. 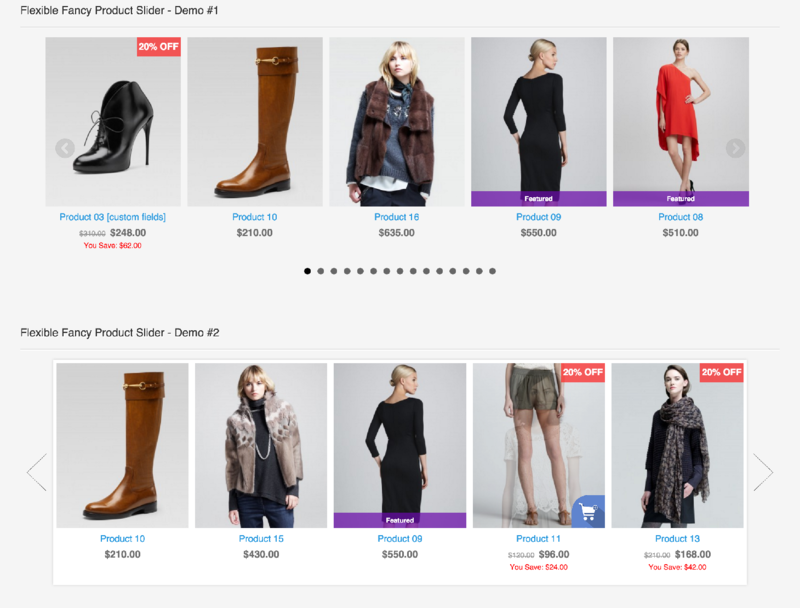 There are countless different variations that you can create Click for demo. Infinite loop. So the slider doesn't stop when it comes to end, it rolls back to begining. You are free to set items number in the slider. Max.15 is recommended to avoid long page loading. Customizable module width and height is calculated automatically. 8 different LEFT-RIGHT choosable options. Choose which ever fits your website the most. Fancy Slider Module has 2 different versions: VM3.x and VM2.x. Install the appropriate module to your website. 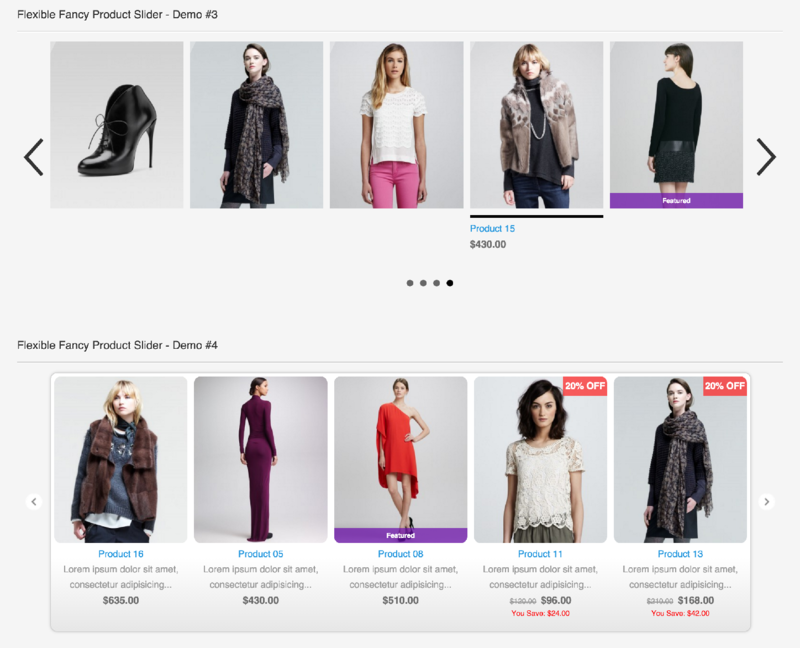 * It is perfect to use this module to show NEW ARRIVALS or ON FEATURED products. 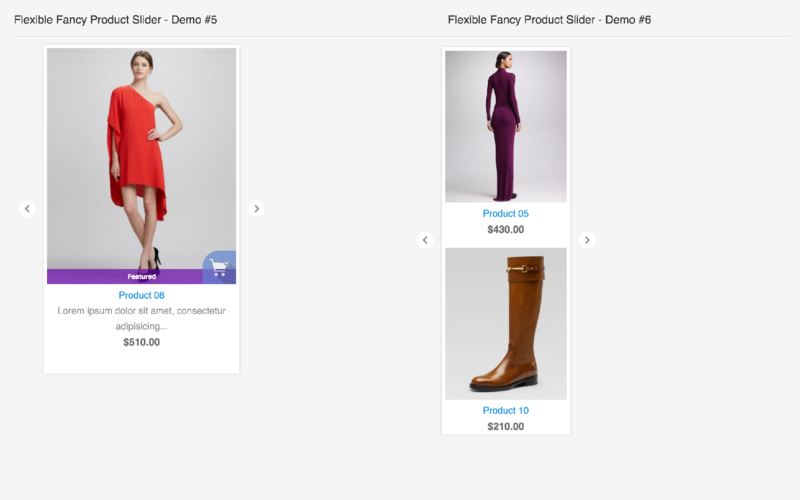 Had an issue with product validation on my site, but then support was just great. I highly recommend this module. Worth it for the money spent. Please log in first to write a review. © 2009 - 2016 Flexible Web Design. All Rights Reserved.